Most people think mold and other air quality issues can irritate asthma and allergies. They are suffering with allergies and asthma because they don’t connect mold and mycotoxins and other air contaminants with their breathing problems and allergies. I am going to present anecdotal evidence which convinced me that air quality has everything to do with breathing ability and allergies. My daughter had asthma from a very young age. 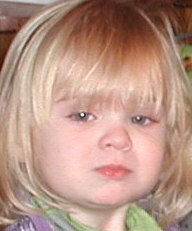 She was tested for allergies when she was two years old. They found that she was allergic to grass, trees, cats, horses, birds, and many other things. That explained why she would cough uncontrollably when she would play outside. She could never jump in leaves because that would cause and asthma attack. She was on advair, nasonex, nebulizer treatments, and an emergency inhaler, and when her breathing got really bad, they prescribed liquid prednisone to reduce the bronchial swelling. She wound up in the hospital twice for pneumonia and had other episodes of fluid and mucus on the lungs that were treated at home with added nebulizer treatments and many sleepless nights. 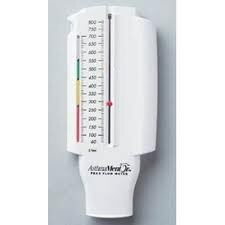 She had a peak flow meter that would measure her breathing ability and she almost always was bordering the red and barely into the yellow. A good day was getting part way into the yellow and she almost never could get the meter to green, no matter how hard she tried. As she got older and the asthma got worse, the doctor suggested allergy shots. They would begin at once a week and as she improved, they could reduce the frequency of the shots to once every other week and then once a month. She did not improve at all over a six month period doing the weekly shots… so she had to continue going every week. She had frequent, chronic sinus infections that the doctor would prescribe antibiotics for, and I would have them take them… because I didn’t know any better. She would seemingly get better and then the sinus infections would come back quickly and worse than the last time. She had frequent headaches and she had a temper that was like living with a ticking time bomb. She was sick often and missed a lot of school. One of the things that led me to look for mold in our house was the spontaneous nosebleeds that she started to get. She would be standing there talking and all the sudden blood would run out of her nose. I found some studies that linked nosebleeds to mold… specifically toxic black mold, also known as: Stachybotrys chartarum and the mycotoxins: Trichothecenes that S. chartarum produces. ~Applied Environmental Microbiology 2005 January; 71(1): 114-122. When we had our home tested, the first test we did was an Environmental Relative Moldiness Index (ERMI) and that came back very high. I was surprised because we could not see or smell mold in our house. We had high counts of many dangerous molds… but no idea where the mold was coming from. We hired a company that could help us pinpoint the source of the mold with moisture testing, air testing, tape lifts, and general inspection. They determined that the main source of the mold was likely coming from behind the fiberglass tub in the bathroom. We wouldn’t know how bad it was until we pulled that tub out. When the air testing came back, the Stachybotrys Chartarum counts on the second floor where that bathroom was located were 234,000 spores per cubic meter. We were breathing in massive amounts of toxic mold when we showered, bathed or slept in our bedrooms. We were being poisoned in our own home. At this point, on the advice of other people who had dealt with mold, we moved out of our home and taken nothing with us. If you take your things with you, they have mold on them and they can keep you sick. Since everyone in the house was sick to some extent, we were taking no chances. The asthma and allergies did not go away on their own. We needed to help the mold out with natural anti-fungals. I will write another post on what we did to make her Asthma and Allergies Disappear. This entry was posted in Air Quality, Health on November 26, 2012 by Heather Plude.